Dragon 186 – Willy, despite his appearance loves the cold weather, well, as much as a dragon can love anything that isn’t gold. 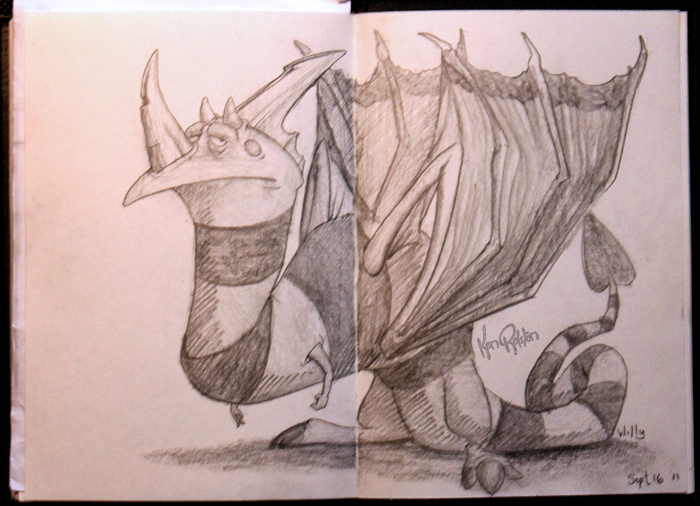 After the energy or lack of energy, I felt I was getting from my last couple of dragons, I felt I had to switch up my pencil. There’s a definite difference in the feeling between a mechanical pencil’s line and the regular graphite pencil. I’m actually thinking maybe a few ink drawings may be on the horizon as well.